Dale Nichols' idyllic images of rural mid-western life are rooted in the artist's experiences as a boy growing up in Nebraska. 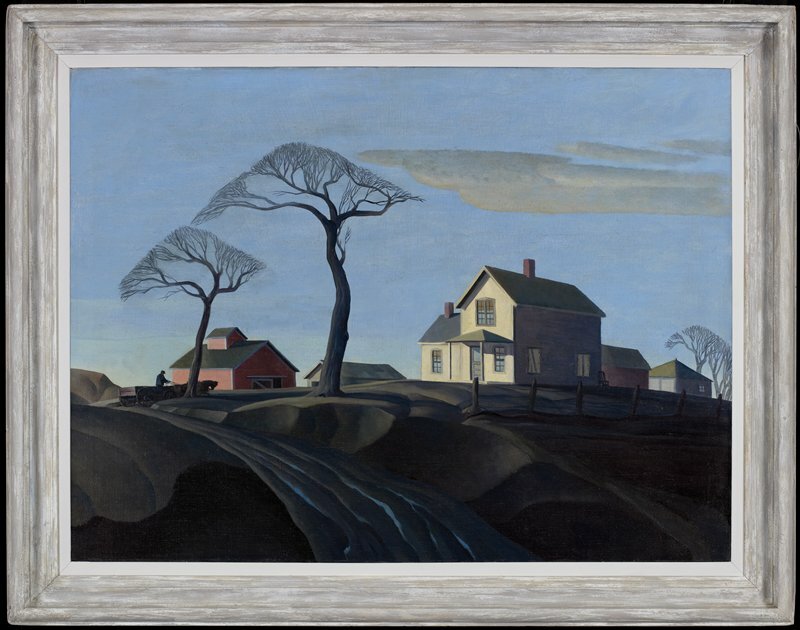 His compositions are distillations of essential elements to which he imparted a sculptural quality through abstraction and simplification of forms - much in a manner that suggests the influence of the regionalist artist, Grant Wood. In The Twins, the composition is dominated by two leafless trees that give the painting its title. Abstracted natural forms and crisp edges imbue this nostalgic view of farm life with a visual lucidity reminiscent of a dreamlike state.